Mr. Caldwell looked thin and drawn as he confided his desperation to Janelle Farrington, R.N. The beautiful young psychiatric nurse was his last hope. She must try to save his daughter Nadine from the strange silence that had overcome her that dreadful day of her mother’s death. Warner Paperback Library Edition. First Printing September 1973. Second Printing August 1975. Cover illustration by Vic Prezio. Thought I’d share this lovely cover by Vic Prezio. There is something wonderfully eerie about that single gravestone, poised by the edge of the forest, as if quietly waiting for something – or someone. 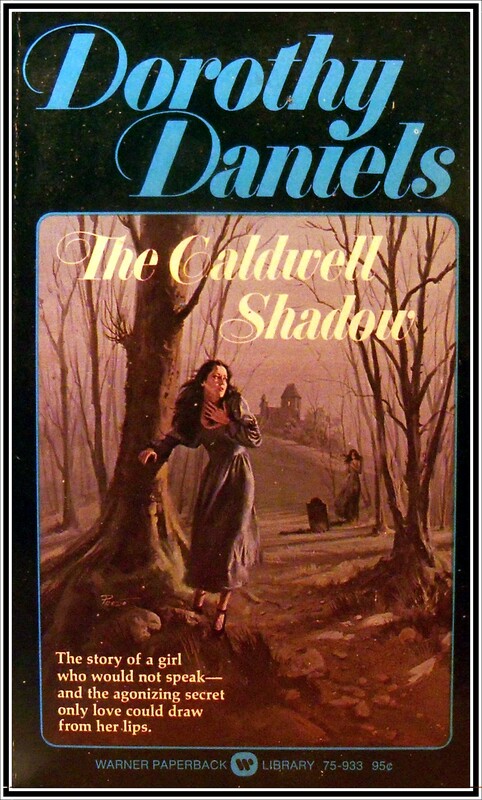 I’ve not read this novel yet so I don’t know whether the ghostly figure next to it is a phantom, mysterious stranger or some awful future vision of the heroine herself. 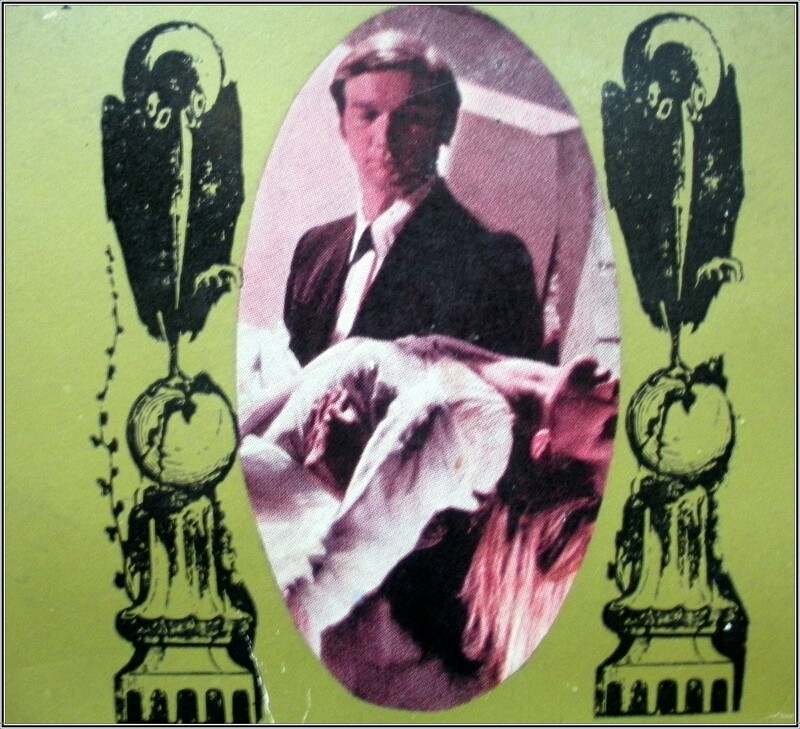 Could be, as with many of my gothics, the cover art has nothing whatsoever to do with the story! There – in Paris Match – were photographs of THE GHOST OF HER MOTHER! The first photograph showed a swirling mass halfway down a staircase. In the next, a shape began to emerge. There, in the third, stood my mother, who had died eighteen months ago, wearing a dress from the Forties. I remembered that dress! In the fourth shot, the image swirled again, dissolving. Written by Dorothy Daniels. First printing December 1973. This Third printing May 1976. Cover art Vic Prezio. 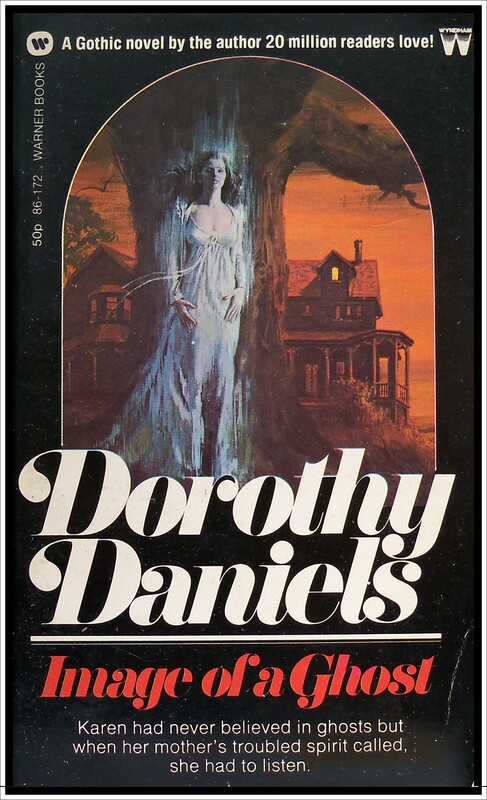 A former actress and schoolteacher, Dorothy Daniels wrote some 150 novels. I have already reviewed the Strange Paradise series, which I enjoyed and Romany Curse (written as Suzanne Somers) which I didn’t. A quick flick through the pages shows Image of a Ghost has all the right ingredients for a gothic – a beautiful, orphaned heroine, a haunted house by a lake and a handsome love interest living in the woods called Steve. There on the path to the lake backgrounded by tall pines, stood my mother. She was enveloped in a strange, blue green light that came from nowhere. She smiled and nodded as if in approval of the love between Steve and me. Suddenly from inside the lodge came a wild scream, so high-pitched as to be a shriek of plain terror. I looked back into the living room. Someone was on the gallery and the screaming was louder. I turned back. Where my mother had stood, bathed in that weird light, there was nothing but solid darkness. 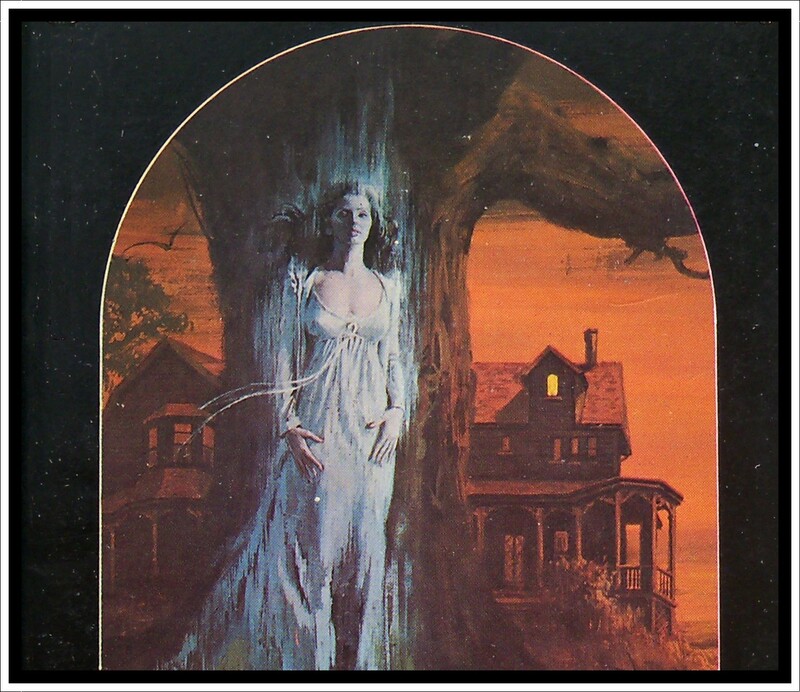 I’m still on the fence as to whether I will read this one or not but I wanted to post it anyway as the cover art is by Vic Prezio, who created the gorgeous artwork to Curse of Deepwater by Christine Randell. Jean Paul Desmond makes a pact with the Devil in an attempt to bring his dead wife back to life. JEAN PAUL DESMOND is handsome and vigorous. he is one of the world’s richest men and he is desperate. His beloved wife Erica is dead, but he will not let her rest. JACQUES ELOI DES MONDES could be Jean Paul’s twin. Except Jacques is 250 years old, and dead. Or is he? Jean Paul and Jacques enter into a pact that unleashes a tide of evil from beyond the grave which threatens to enslave Jean Paul – and all the people around him! Written by Dorothy Daniels. First Paperback Library Edition December 1969. Somewhere on a remote island in the Caribbean, accessible only through a treacherous channel of water, stands Maljardin – a foreboding castle and home to the Des Mondes family for over four hundred years. It is here where we are introduced to the latest in the De Mondes line, Jean Paul Desmond; a modern day Jekyll and Hyde possessed by far more than the desire to bring his dead wife back to life. Joining Jean Paul are guests Keith Lambert MD, a cardiac surgeon and Diana Thatcher, a secretary from New York. 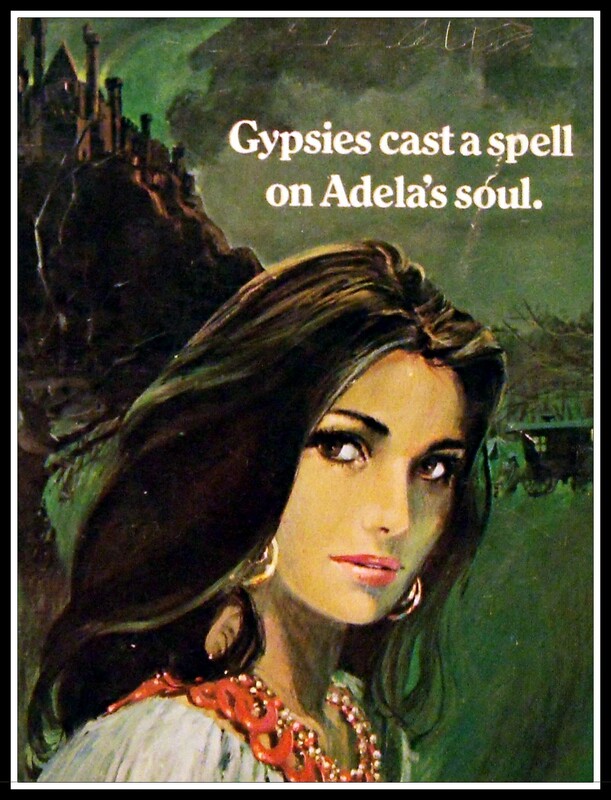 Amidst the ever so romantic backdrop of animal sacrifice and hypnotic drumming, Keith and Diane meet at a Voodoo ceremony and instantly fall in love. And just as quickly they are planning to leave the island to ride off into a beautiful sunset together as soon as they can. There is only one hitch. Diana has to visit Maljardin to collect some papers for her boss in New York. Keith decides to brave the turbulent waters with her and very soon the young couple find themselves guests of Jean Paul Desmond and his rather sinister castle. However getting out of the castle proves rather more difficult than getting in. It appears forces are at work conspiring to keep the not so willing guests trapped. Jean Paul has the body of his beloved dead wife Erica cryogenically preserved in the basement and the skills of Dr Lambert may be able to assist him in bringing her back. More worryingly, judging by the bodies of young ladies that are being washed up ashore minus their major organs, Diana herself may required for a fate far, far worse. Will they or won’t they escape in time? And will Jean Paul himself see reason and fight the evil that is enslaving him? Is there anyone in the castle skilled in magic strong enough to defeat the devilishly deviant Jacques Eloi Des Mondes – a two hundred and fifty year old entity who can possess his ancestor at will? All is soon revealed in this surreal page turning novel that is crammed with all sorts of gothicky goodness. 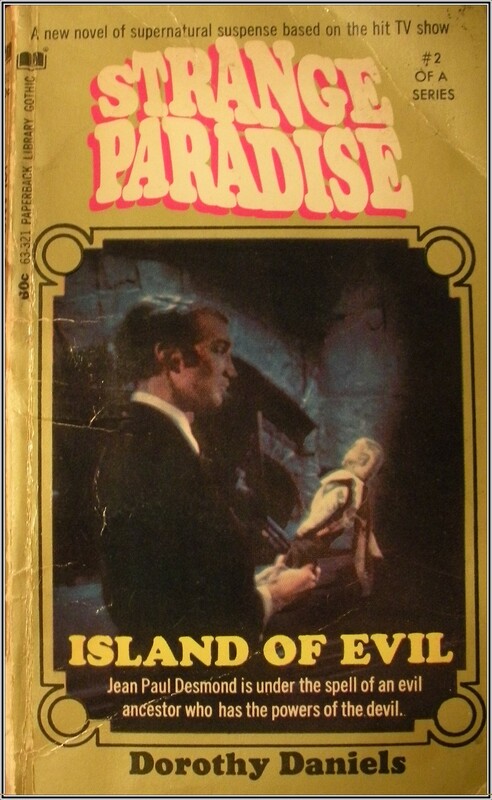 This is the first in a series of paperbacks based on the television gothic suspense drama, Strange Paradise. 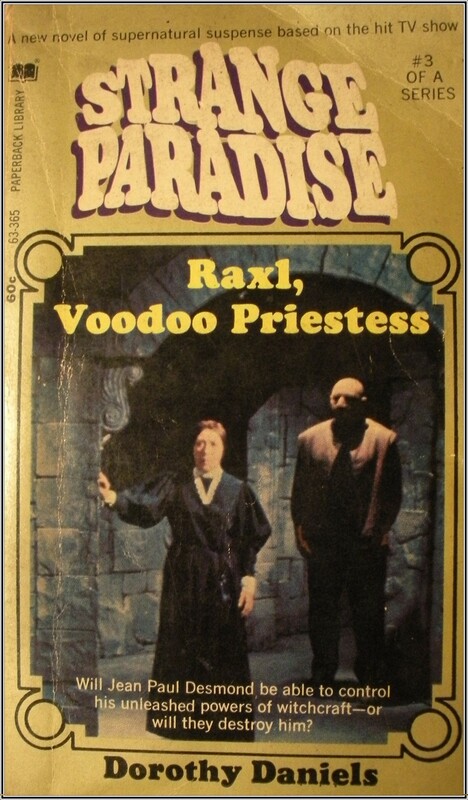 I have two other paperbacks in this series – Island of Evil (published April 1970) and Raxl, Voodoo Priestess (published August 1970). 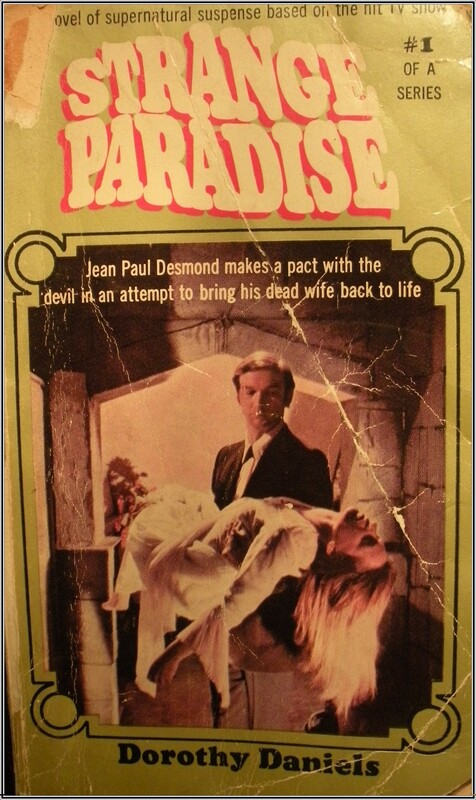 Both titles are written by Dorothy Daniels and both centre on the ongoing saga of Jean Paul’s obsessive love for his beautiful dead bride as he struggles between good and evil and the satanic pact made with his long dead ancestor, Jacques Eloi Des Mondes. 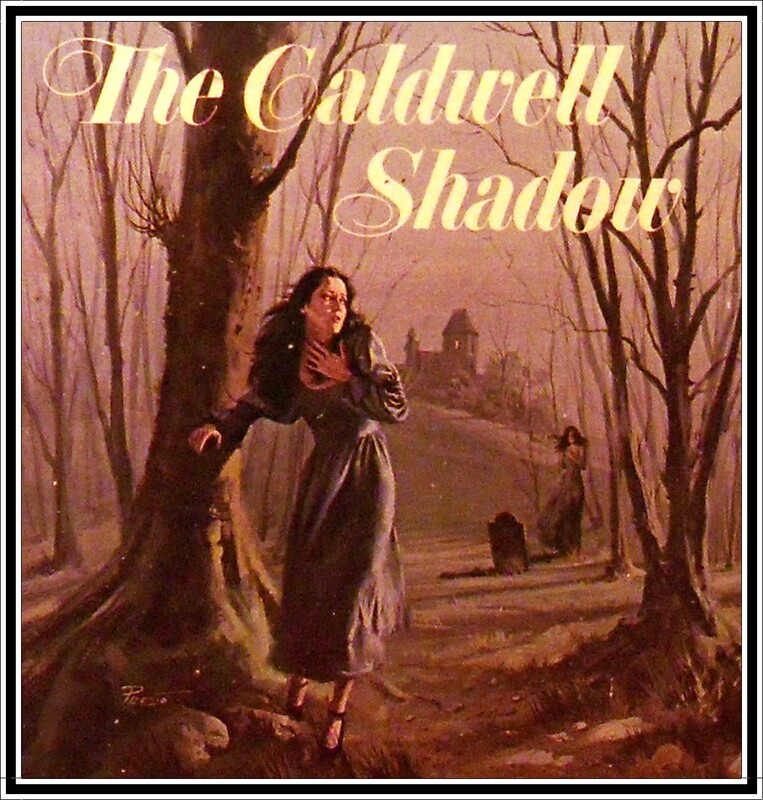 For more information on this Canadian soap opera with a difference, check out: http://www.strangeparadise.net/index.html Paperback Library are the publishers behind the books that accompany the Dark Shadows series and though I am a huge Dark Shadows fan, I’ve never had the pleasure of watching any of Strange Paradise. But if these books are anything to go by this is not to be missed viewing! Four out of five stars.